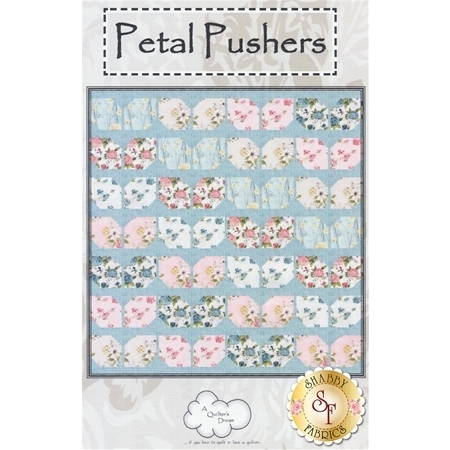 Transform your home décor with the Petal Pushers Quilt by Stephanie Prescott. 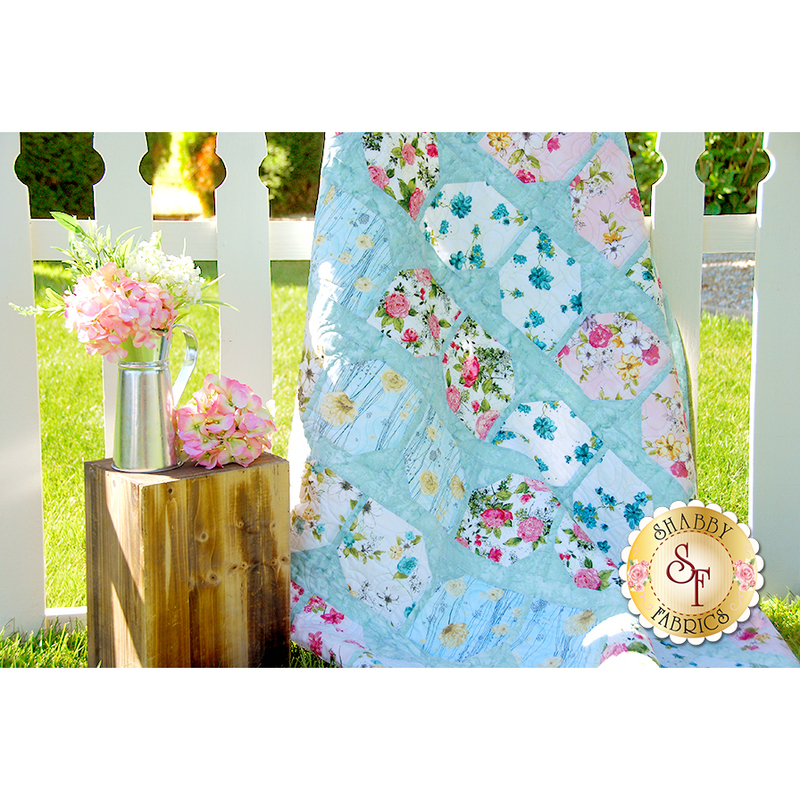 With the spectacular subtle hues and a gorgeous floral pattern, this lap size quilt is all your room needs to give it a fresh new look! 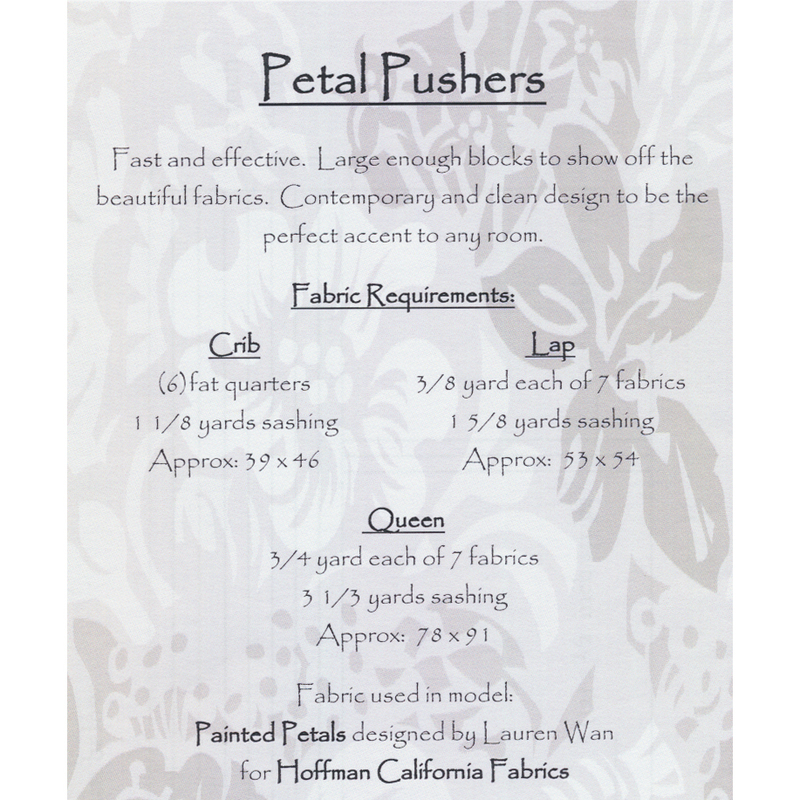 This stunning quilt uses the Painted Petals fabric collection by Hoffman Fabrics. Pattern includes all instructions and digrams needed to make a 53" x 54" quilt.